Beware Of That Extremely Sophisticated Malware! Don’t get tempted to click on those intriguing links, for it might be that new kind of malware with a garb too sophisticated, out to steal your personal information. Most of us may still not be aware, but a new kind of malware with a completely unknown origin has hit the web. Therefore, read this article so as to be warned in time, before clicking on some fascinating links. The malware will tempt you to click on some interesting links and before you know, all your sensitive information is taken away. Generally, the main aim of any malware is to take control of someone personal information. Gone are the days when those nasty malware were there just to create nuisance. Today, the malware has become much more sophisticated and come disguised in interesting looks so as to tempt you to click on those links. 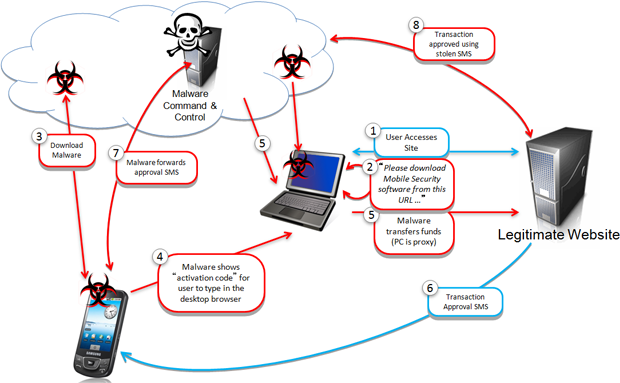 How The New Malware Works? Let us see how the new kind of malware, referred to as Careto, behaves according to an extensive report by Kaspersky Labs. It arrives most commonly posing an email from popular news websites and once you click on the link, you get taken immediately to a website and Careto will scan your page for any vulnerability and will inject an infection in no time. The emails are designed to look authentic as though they were sent from legitimate news sources like The Guardian, etc. The malware works against Windows, Linux systems, OS X and one can expect Android and iOS versions on the way. The malware can get any info it wants as the computer surrenders to it. Careto is also known as The Mask and it was Kaspersky Lab that discovered the piece of espionage malware in 2014. Currently, the malware is targeting Morocco, Gibraltar and because of the focus on Spanish-speaking victims, it is speculated that Careto is operated by Spain. What Careto is capable of? Get access keystrokes, file operations and WiFi traffic data. Collect “network traffic, capture Skype conversations and screenshots. Careto can intercept your emails too. However, the only consolation is that Careto is busy targeting entities of national and global importance like embassies, government institutions, activists, etc. It also targets energy, oil and gas companies and is likely to target Android and Ios devices in the neqar future. It is also meant to instigate customized attacks against Kaspersky Lab’s products. At present, there are no clues of Careto creators and the only clues are the Spanish bits that are found in its coding. It might be even possible that coders of Careto have placed the Spanish fragments just to mislead. However, the level of sophistication the malware carries hints that it was built by an organization with a breadth of resources. The safest and simplest way to not get hooked by its bait is to follow the old rule of web and that is to click on any links of unknown origin.